Have you gone through a period of time in your life where you had one crisis, then another, and then another? Then a few little problems get thrown in for good measure, and you think, “Seriously?! You are kidding me, right? I cannot deal with this one more thing (this broken down car, this repair bill, this flood of water) on top of what I am going through here!” Yes, we do have to deal with it, because this is life. Is it possible this is how Satan attacks us? A couple years ago, our family was heavily involved in ministry at church. With my husband Mike being a pastor, we are always busy with church ministry, but during this period of time, his ministry was especially involved. I was also heading up an Outreach program that was working to go out into our community in new and interesting ways to serve and tell people about Jesus. It was an exciting time, and I absolutely loved what I was doing. I woke up every day thrilled to start working on this ministry. Yet suddenly things started breaking down at home. One teen went through an emotional crisis. Another child hit a huge roadblock at school. Then our whole family went through a series of illnesses — including the flu hitting our entire family on Christmas Eve. It was one of those seasons of “Seriously, Lord? !” I felt like if one more thing came at our family, I would melt into a puddle of Mom-mess, and it wouldn’t be pretty. 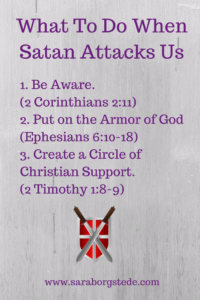 Of course Satan is going to attack you. He wants nothing more than to see you fail. Satan doesn’t want to see you grow God’s kingdom. This is why it’s so important for us to be together in fellowship with other Christians, both at worship and in relationships. We need these reminders on a regular basis. Satan loves to hit below the belt. He will strike at what matters to us most in the entire world, and for me that’s my family. When my ministry is going at it’s best, I find that suddenly things start to break down in my family. I’ve seen it happen in my life again recently. My speaking engagements and writing opportunities have increased, the Faithful Finish Lines online program is off to a great start with the second group going strong, and Mike and I are loving the work we are doing together — yet other areas of our family life are in strife. The Greek word for “you”* at the beginning of the passage is plural, referring to all Christians. The second time “you”** is used it refers specifically to Peter. (Check out this link for an excellent explanation of this interesting Bible passage.) Satan demands us and sifts us — like wheat is sifted clearing out the good stuff from the bad. Just the thought of that scares me. These are true spiritual battles we are in the midst of every day, and we need to take them seriously. Yet Jesus prayed for Peter and look at the powerful result! Peter did later deny Jesus, but he repented and turned back to God. Prayer is our powerful weapon against our enemy. Stand firm, friends. 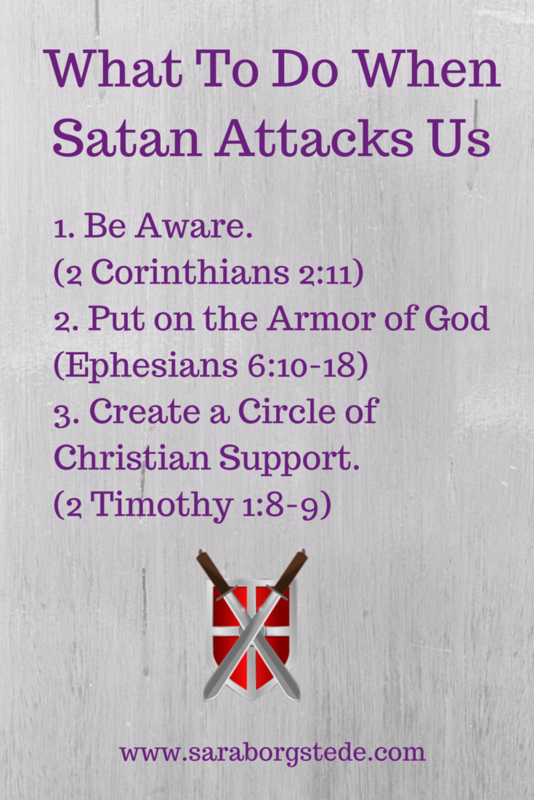 When Satan attacks, remember that our enemy is already defeated and we are victorious in Christ! What are some life situations where you have felt Satan attacking lately? How have you been able to stand firm in your faith? 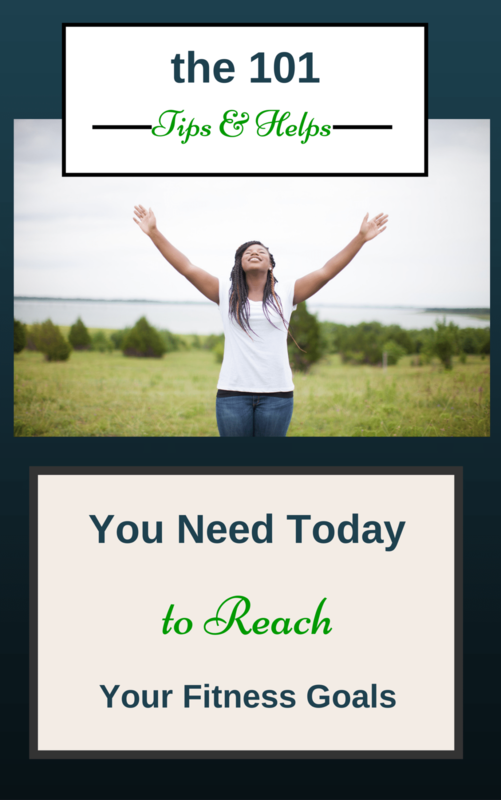 Have other Christians encouraged you along the way? Wow, this is hitting close to home today…we’ve just come through a six month period of absolute chaos & craziness. 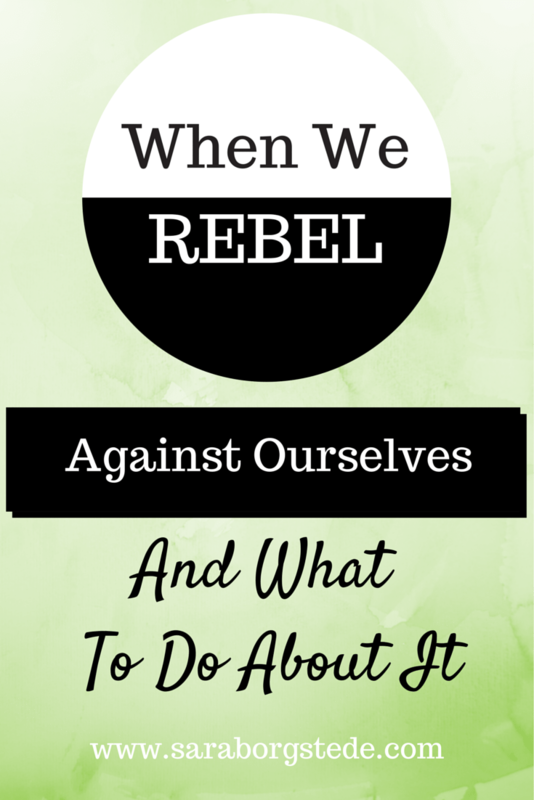 And the whole time, I’ve been struggling with anger at God, but He’s been speaking to me, “It’s not Me.” Thanks so much for sharing & will be pinning. My husband filed for divorce in October. I know that it is Satan’s work and I am trying hard to help my husband to see that we can make it through this and become stronger because of this. He is unwilling to see this. The devil has a stronghold. I have reached out to my colleagues, seeing that I am a Lutheran School teacher, talked to a counselor at Focus on the Family, talked to a pastor, and friends who are praying. I know that God’s will will be done. I struggle with being patient for Him to answer my prayers. I love my husband and i feel called by God to help him to work through his past hurts and struggles and get the help that we need to make our marriage stronger and lead by Godly example for our three boys. My husband comes from a divorced family and I don’t want that cycle to continue on down the line through our boys. I have hope and I trust that God will make things work out according to His will. I pray that the Holy Spirit would open up my husband’s eyes, heart, and ears to see the truth and to becoming willing to work through this to become a stronger person and example for our boys and that God would send a good Christian man into his life to befriend him and encourage him to do what is right for him, for us, and for our family. Our temporary hearing is January 16th. He will be moving out after that, which I am really dreading. I pray that God would lead me and guide me and help me to do what is right and guide my words and actions in all of this. Oh Karen, my heart and prayers are with you! What an incredibly difficult situation for anyone to be in! All marriage stresses are so difficult, but when you are in such a different place as your husband, I can only imagine how hard that is. You are doing so many of the right things by reaching out to others for help, and most of all by surrounding and filling the whole situation with prayer. I said a prayer for you when I read your post. Thank you for sharing and I will continue to lift you up in prayer. Please keep me updated. Feel free to email me sara@saraborgstede.com. I’m new here and I know it’s been over a year since you posted this message. But I started praying for your marriage at that very moment I was done reading. Please know that GOD can do a miracle any second, any minute, any hour, any day. I love you my sister. A daughter of a king ? You are speaking truth! We must stand firm and withstand the enemy! You know, our family is making it on one income and I work part time – very part time. I was praying about our financial goals this year and praying about ways I can make a supplemental income from home, when I received a letter from human resources at my job saying that an old bank wants to garnish my wages! I work 3-9 hours a week!!! They couldn’t garnish my wages because I don’t make enough. In my anger and my frustration I saw this for what it was. Coincidence that this happens as we are praying and planning to pay off debt? I don’t think so. Maria, I am praying for your family’s financial situation! Praise God for the times He has come through! I know it’s really stressful, though, living day to day like that. I am praying for peace for you.